Is Christmas your favorite holiday? Do you wait impatiently all year long, dreaming about the sparkly decorations and warm drinks by the fire? If so, you’re going to love the activity we’ve planned for you! One of the best parts about celebrating Christmas in New England is attending all of the festive events. Mystic, Connecticut, hosts some of the most entertaining activities for visitors and locals alike. Here’s everything you need to know about the highly anticipated Mystic Seaport Lantern Light Tours. Read on and start planning your visit today! After all, it’s never too early to start celebrating the Christmas season. 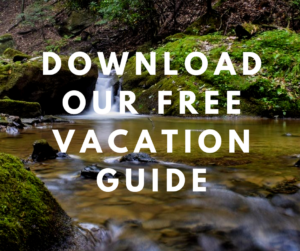 Don’t forget to download our free Vacation Guide for recommendations on local restaurants, shops, events, and more! Take a journey back in time to Christmas Eve, 1876, when you embark on a Mystic Seaport Lantern Light Tour. Begin your journey aboard a horse-drawn carriage and ride to six different locations to watch individual acts from The Nutcracker. You can even roam through a winter fantasia (a spirited circle dance), for example! Tours are 90 minutes long and include all kinds of musical surprises. You might even get the chance to meet Santa, so be on the lookout! Tip: Keep in mind that you will be standing or walking for most of the performance, so make sure you bring appropriate clothing and shoes! The carriage ride is not wheelchair-accessible. Instead, a theatrical alternative will be available! Call (860) 572-0711 for more assistance. Don’t miss the exciting Christmas events in Mystic this winter! Our calendar is bursting with activity during the holiday season. Here are some of our favorite things to do. Join locals at the Mystic Village Christmas! This evening festivity includes a stroll through the Olde Mistick Village where you can admire dazzling light displays and other decorations. Mystic Christmas Boat Parade is another local favorite! It’s an annual tradition that features a parade of colorfully illuminated boats, followed by a Christmas tree lighting and a visit with Santa. Do you have a sweet tooth? The Traditional Holiday Bake is perfect for you! You can taste the delicious flavors of Christmas in several treats, including homemade cookies, pudding, and other holiday favorites. Community Carol Sing is the ultimate Christmas event at the Mystic Seaport. There’s nothing more traditional than carolers! Their sweet voices will enchant your ears and spread holiday cheer. This is also one of the oldest events in the area and has been going on for more than 70 years. 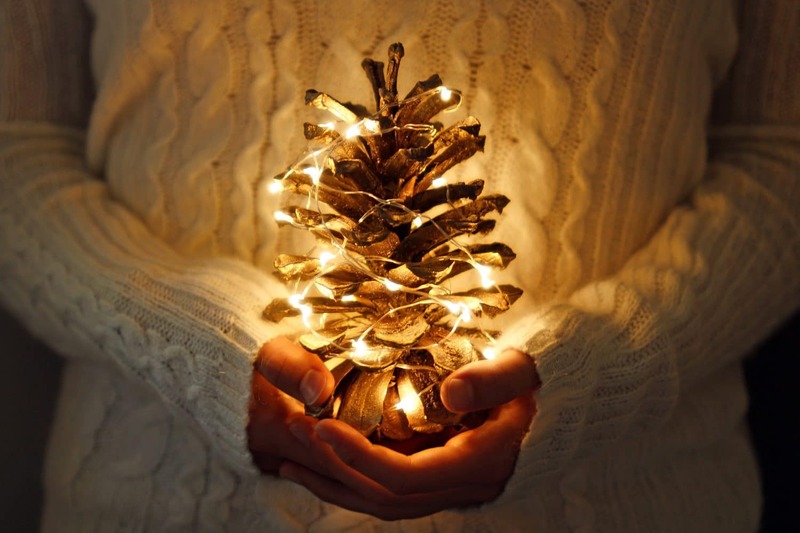 Experience Christmas Magic at Stonecroft Country Inn! 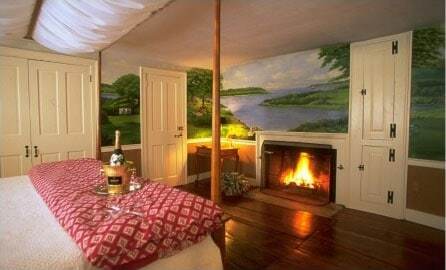 Complete your Christmas getaway by booking one of our warm and cozy accommodations! 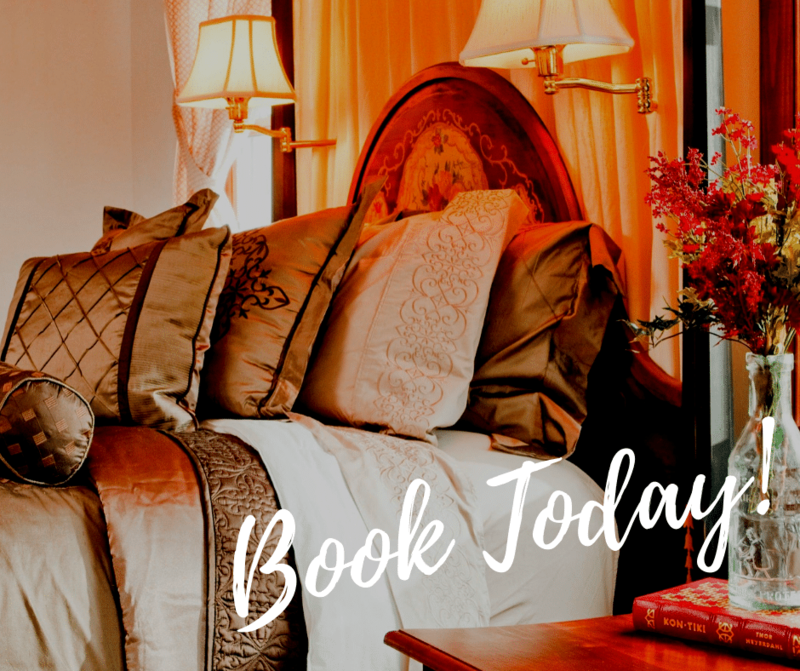 When you stay at Stonecroft Country Inn, a comfy bed and breakfast in Stonington, CT, you can enjoy beautiful rooms equipped with all the amenities you need for a weekend of rest and relaxation. Spend time exploring the surrounding area or simply unwind on our peaceful property. 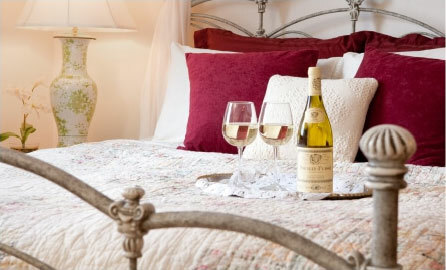 We recommend the Buttery Room for your Christmas stay. Our most historic room offers quintessential New England charm with its gunstock beam ceilings, original doors, and a white iron and brass queen bed. Relax in a hot bath in your private bathroom, cozy up on the terrace, and fall asleep to the soothing silence of the countryside. Wake up the next morning and follow the smell of coffee to the dining room where a mouthwatering homemade breakfast awaits you!